Fire damages home on Third Ave.
GALLIPOLIS — Local firefighters responded to reports of a fully involved house fire on Third Avenue with one person entrapped on Wednesday morning. 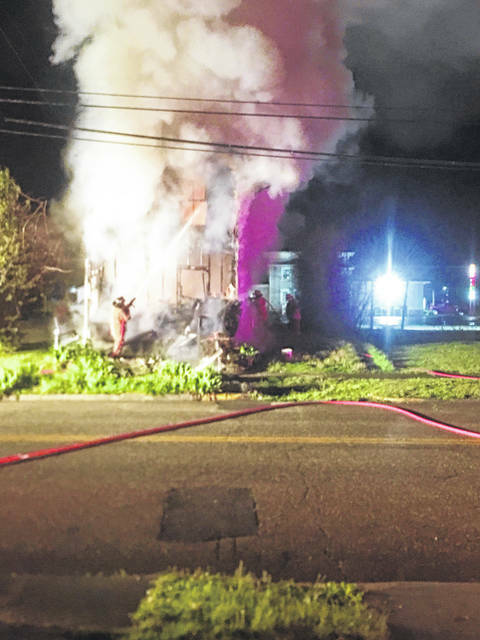 According to the Gallia 911 call log, Gallipolis Fire Department personnel were dispatched to the residence in the 800-block of Third Avenue at 5:33 a.m. Point Pleasant Fire Department personnel were also called to the scene for manpower and apparatus. American Red Cross was contacted for the gentleman, as there is nothing left inside the home and it is no longer inhabitable. Gallia EMS transported the man to Holzer Medical Center for evaluation, according to Null. Local utilities were contacted to shut off gas and electric to the residence as the fire damaged some of the protective coating from the wires.